Search engine optimisation is a practice right on the edge of the internet’s constantly changing frontier. It used to be that a slew of keywords would guarantee your business top billing on any search engine going, but the rules have changed from update to update, leaving businesses sweating over the success of their SEO behaviour. Even being up-to-date with every existing rule isn’t enough, since there’s no way of knowing what a given search engine might dictate in the future. So, is there an answer, or does successful SEO mean constantly updating yourself on new rules and regulations? Well, as the astute may have guessed from the title, after researching the subject myself, I came across 100 SEO Tips For The Modern Marketer and HubSpot’s SEO: Past, Present and Future guides, there is a way to futureproof your business so that your SEO keeps working without constant management – in fact, there are ten ways. SEO is only effective when it’s the result of dedicated market research. That means that you can’t just guess what keywords or terms people are searching for – you have to know. Search engines are hi-tech, but they can only work with what people are searching. Get a good idea of what’s being typed into a search engine with a free tool such as Keyword Planner from Google and you’ll have words and phrases that the engine can never be designed to ignore. Once you know what’s going to get you listed on a search engine it’s time to start seeding it throughout your site. It’s no good to just include a few keywords in a body of text – it needs to feature in headings, links and even the alt text of images. The more intrinsic your SEO content is to your website, the harder it is for search engines to ignore it or set it aside. Also keep in mind that different search engines look in different places, and some may expand, shrink or change their lists in future. The only way to win is to have SEO content in a variety of places. This is the big one, and the thing many businesses just can’t seem to do. 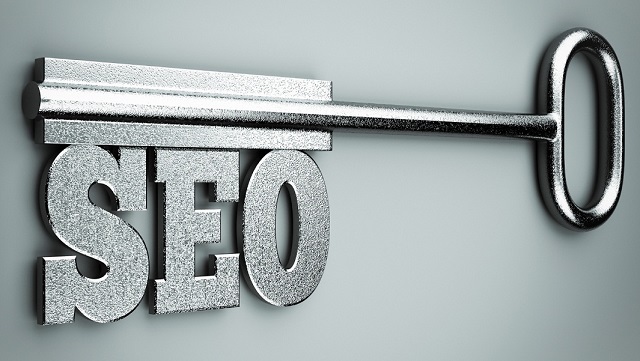 SEO content needs to appear ‘natural’ to search engines. No matter how effective they get, their goal is still to ignore everything that doesn’t seem ‘real’. Creating real, interesting content is a permanent way to stop this becoming a problem. Either write interesting articles or have them written for you, because that’s how you come first on a search engine. Of course articles aren’t going to be enough if you’re competing for the top spot. Other content, such as images, videos and infographics, can help you build up your SEO content in a natural, interesting manner. The other upside to varied content is that people are more likely to share it among themselves. Search engines look for popularity since it’s a good indicator of where users might want to be sent – if people are sharing your content, you’ll rocket up the list. One great way to guarantee your content is getting shared is to engage with social media. Facebook, Twitter, Instagram and the rest all let you reach out to customers and signal boost your content. Connected back to the site you’re hoping to optimise, they also bolster perceived traffic and make you seem more popular. The Holy Grail of content sharing is when someone creates new content ABOUT your content. A review or an article that uses your video or infographic will show search engines that people are genuinely engaged with your content. A good way to guarantee organic links is to make friends. Online contacts will be more open to including your content in their own, and this could even lead to content such as guest posts and interviews which link back to your site (and again create the impression that it has real online presence). Search engines are businesses themselves, and are liable to offer a helping hand to sites that support them. Google, for example, offered to boost the search engine position of any sites that had a presence on their social media site Google+. Keep your eyes open for opportunities like this – even if there’s no offer of support now, you don’t know what could happen behind the scenes or in the future. To really be futureproof you can’t just focus on search engines, but on how they’re used. Do people write as they talk, or do you need to make sure your SEO content is ready for a different kind of search? The only way to identify these trends is to do some reading, but if you put in the effort now, you’ll find yourself with a major advantage down the line.